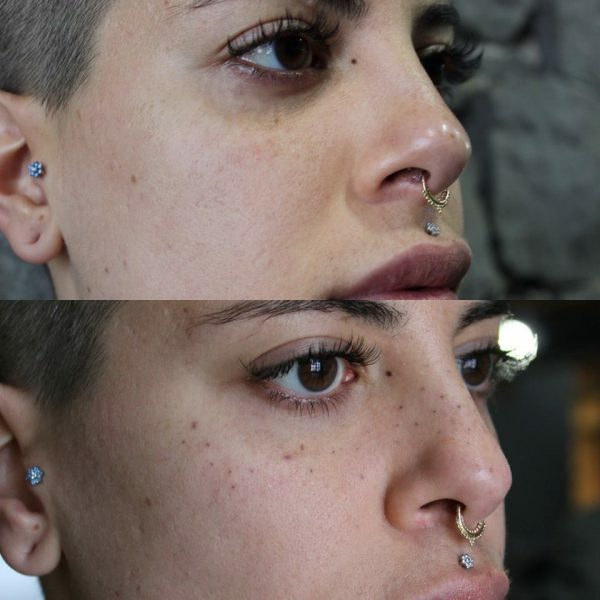 While some women cover their faces with thick layers of foundation to cover up natural freckles, others are apparently getting them tattooed. 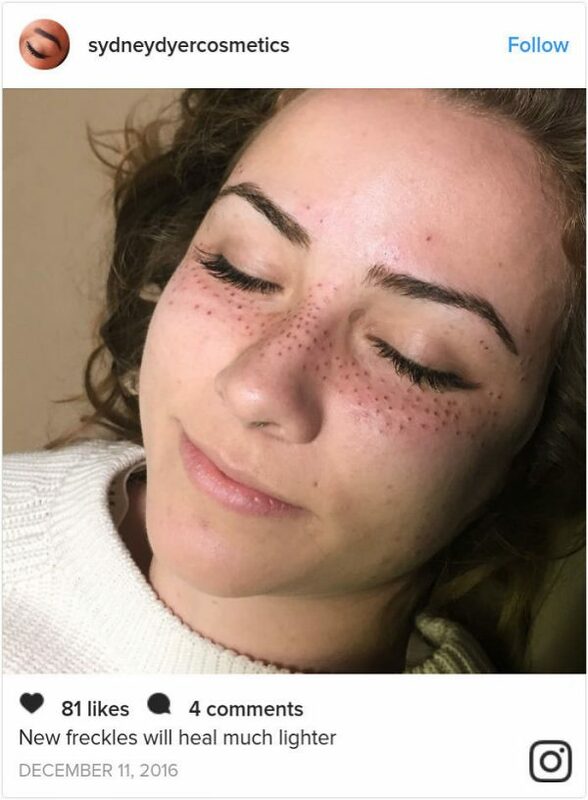 Yup, freckles are in, and some people would even go under the needle to get them. 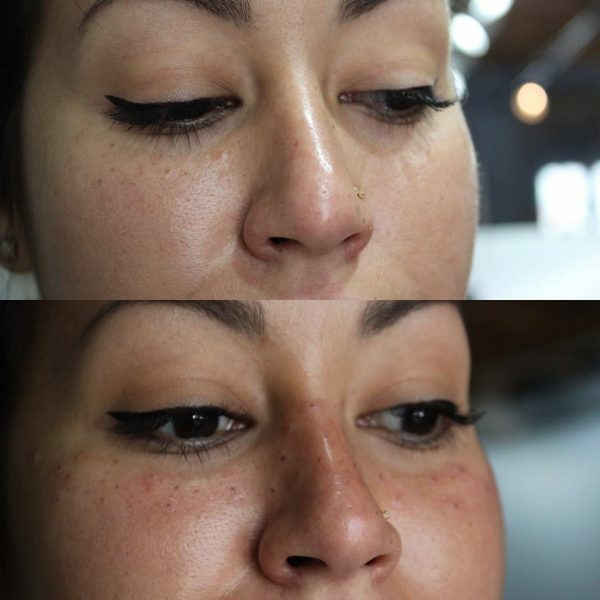 Freckle tattooing is reportedly one of the fastest growing beauty treatments available today. Similar to microblading, an eyebrow enhancing procedure, freckle tattooing involves the use of pigments to ink freckle-like dots onto a person’s face that eventually blend in with the client’s skin tone. 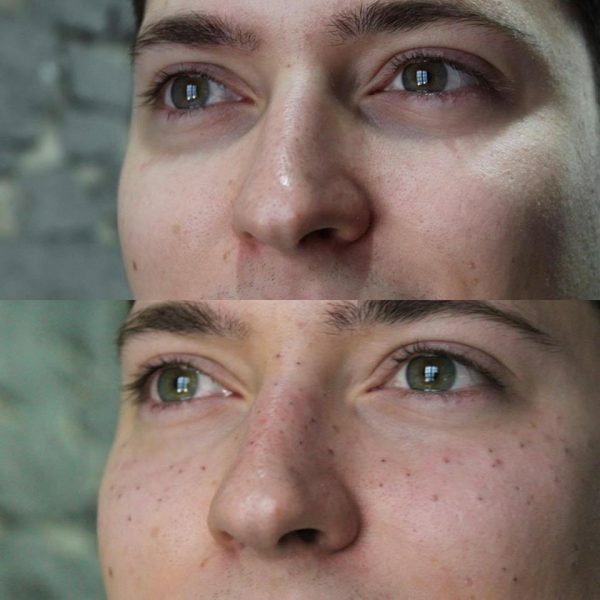 As with any tattoo, there is some inevitable swelling, but it subsides after a few months, and the initial dark coloring of the freckles fades to a light brown. It’s unclear when exactly freckle tattooing started, but Montreal-based cosmetic tattoo artist Gabrielle Rainbow is considered one of the pioneers who spearheaded the beauty trend. She says she was inspired by a friend who had become tired of constantly having to paint them on her face with makeup. Rainbow first experimented on herself, although she doesn’t recommend tattooing your own face, and after seeing that the effect was very realistic, she decided to tattoo her friend as well. Gabrielle Rainbow told New Beauty that she now tattoos face freckles for a wide range of clients, from people who naturally get them in the summertime who also want to keep them when they can’t get enough sun exposure, to those who are freckle free, but always dreamed of sporting their own ‘sun kisses’. Freckle tattooing can usually be done in one session, and doesn’t require any follow-up appointments. The color of the semi-permanent spots gradually fades, until they disappear completely after about three years. Clients can obviously come in for a touch-up whenever they feel that they need one. Depending on the artist and the size of the freckled area, the price of a tattooing session starts at $500. 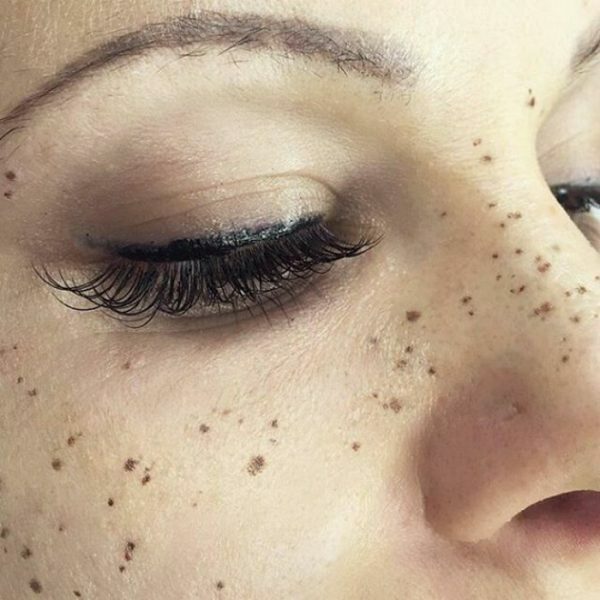 Gabrielle Rainbow says she normally takes the ‘less is more’ approach when it comes to freckles, but most of her clients love the result so much that the usually ask for more. However, the artist points out that people interested in having their faces tattooed need to do their research before going under the needle. With so much demand for the procedure these days, there are plenty of people looking to take advantage of naive clients, so Rainbow recommends finding artists who aren’t afraid to show their portfolio and healed work. “Even if this is ‘semipermanent,’ there are risks, such as technicians who will go too deep or not use the proper inks,” the tattoo artist said. 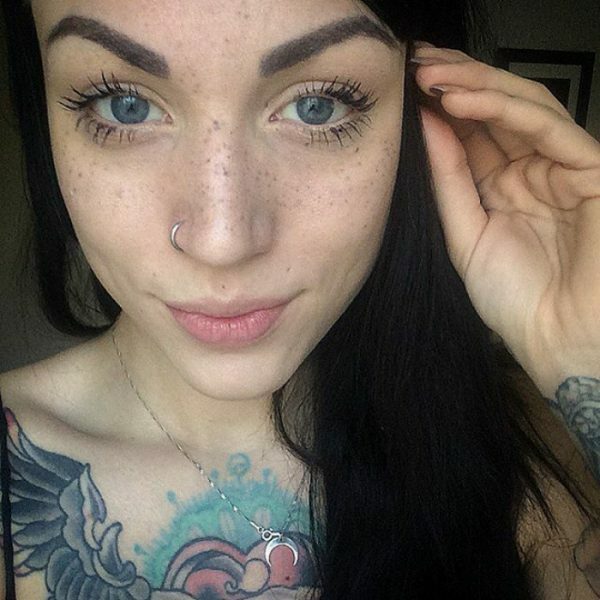 For more examples of tattooed freckles, just search for the #Freckyourself hashtag on Instagram.